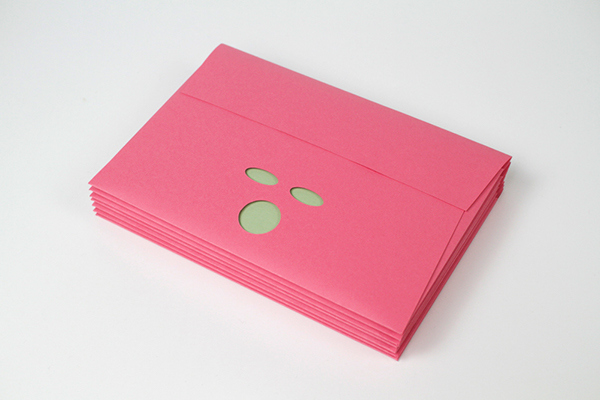 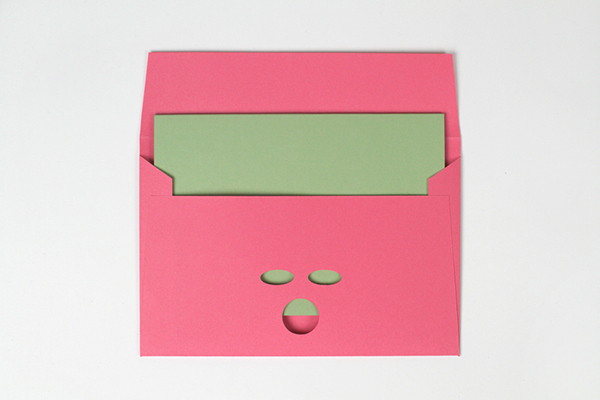 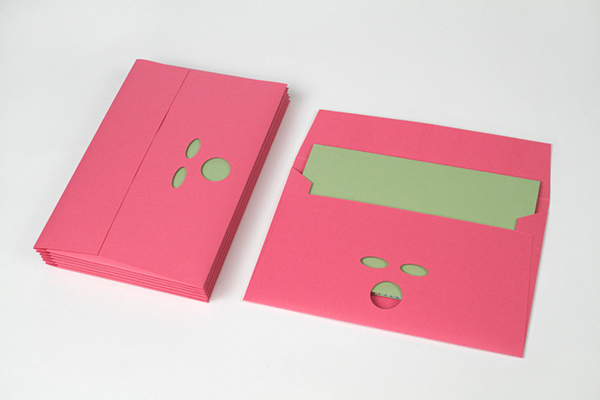 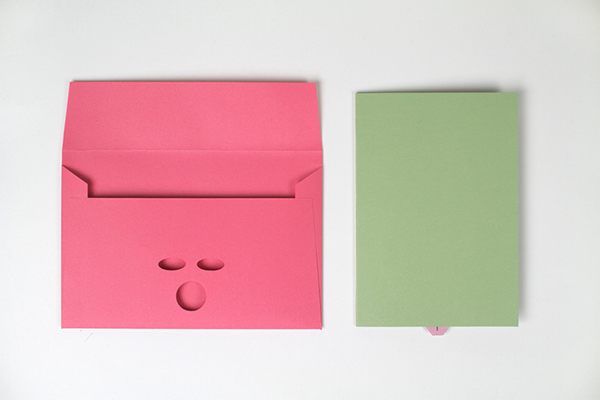 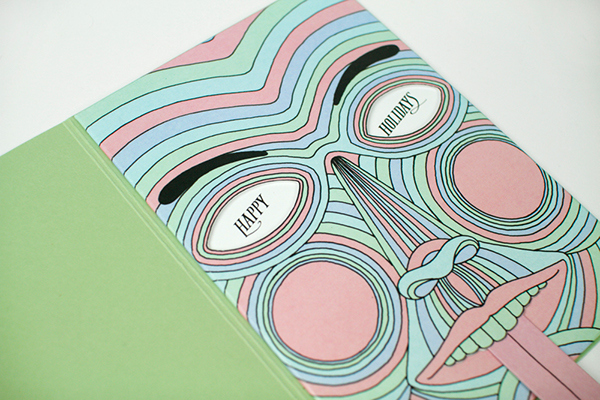 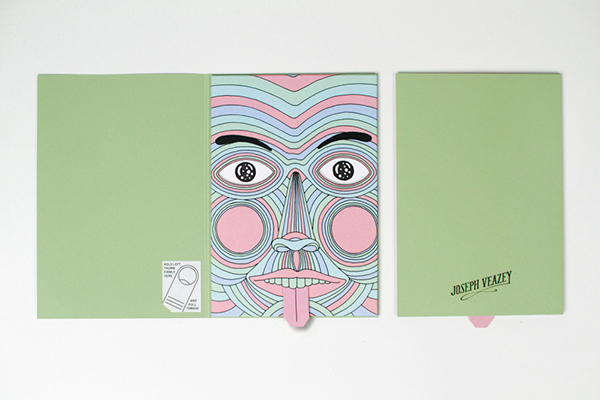 Annual personal holiday card which consists of a pink envelope with a die cut face, which opens to reveal a green card. 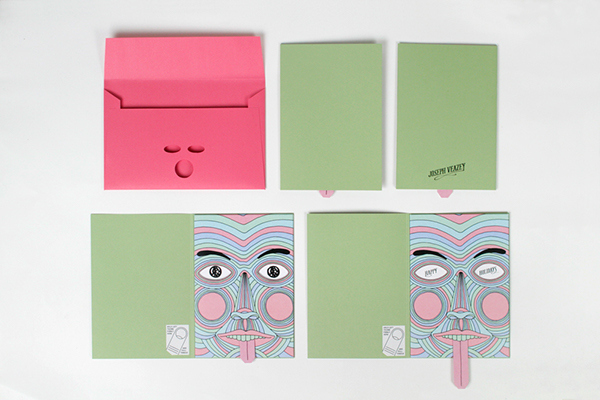 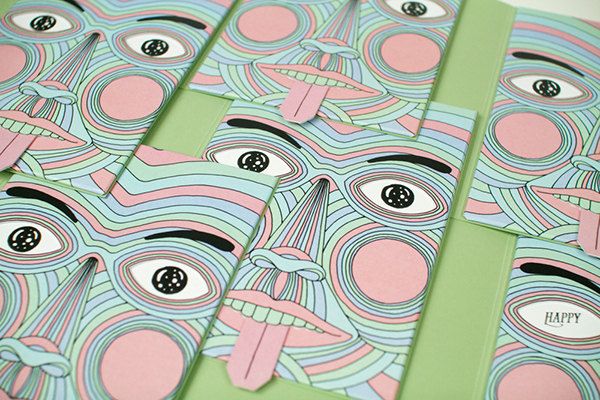 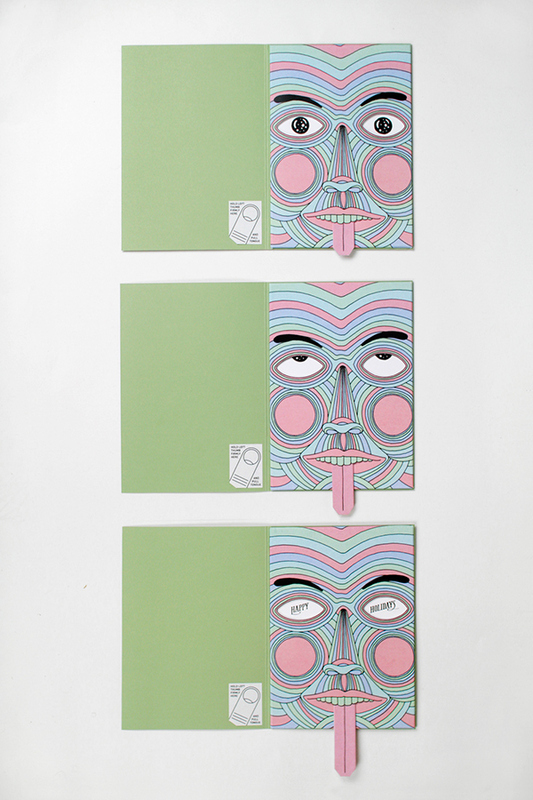 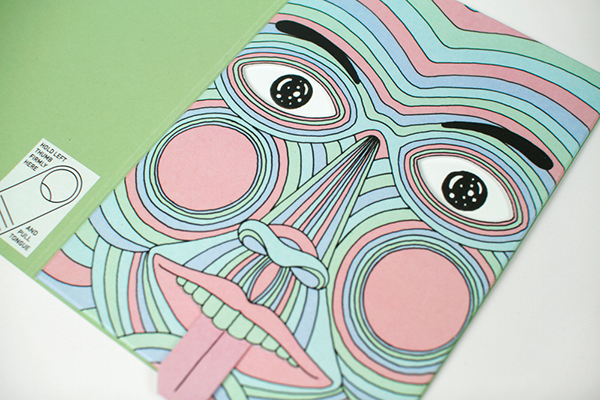 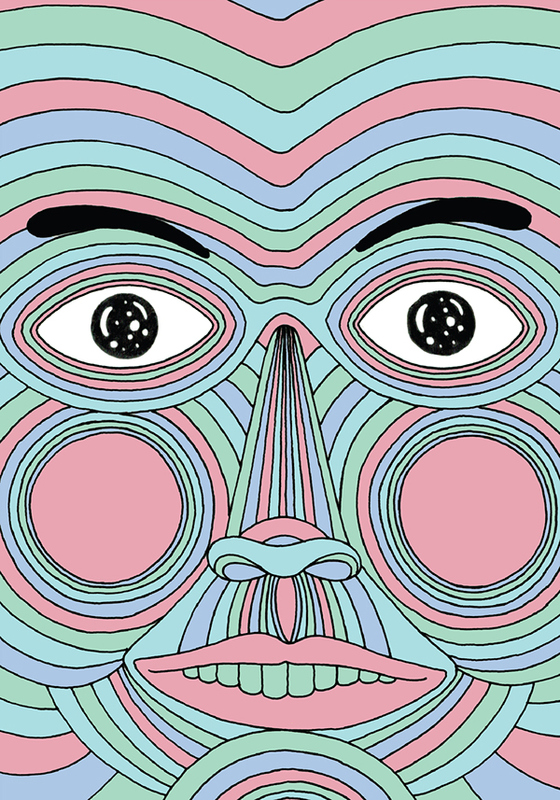 The card opens to reveal a colorful face with tongue sticking out that functioned as a pull tab. 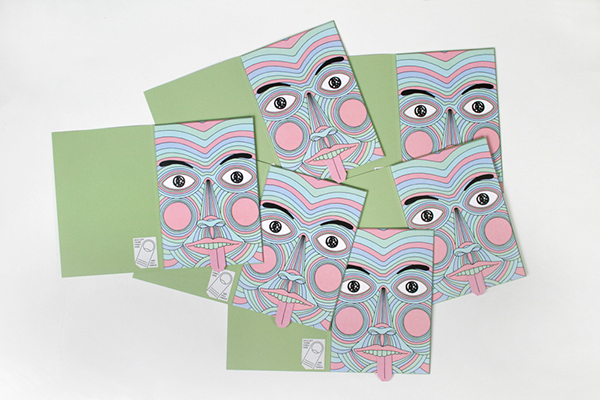 When the tongue is pulled, the character's eyes roll back in his head as the words "HAPPY HOLIDAYS," illustrated by hand, slide into view.